At Pasta Ripiena the ingredients we use take centre stage with a strong lean towards Italian and Spanish produce. We believe in a ‘less is more’ approach to cooking. In other words, we understand the value in simplicity and that more can be achieved with less. Our food is uncomplicated and our confidence in this approach is driven by our brilliant suppliers. We only partner with ethical companies. These include for instance, Natoora, who bring us vibrant vegetables picked on the Milan market; Nanona, based in Clevedon, who work with pioneers in Italian organic farming and supply our Charcuterie; and Powells of Olveston whose reputation rests on the trace-ability of all their meat and fish. 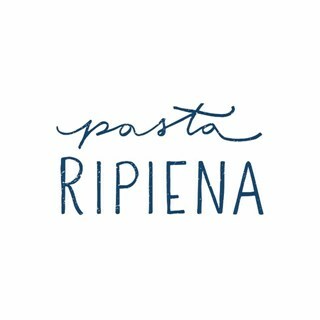 From field to fork at Ripiena our stuffed pasta is created and served with pride. Food was absolutely fabulous! The best Italian food we've ever had. Now I understand why this place is so busy. A kitchen team that knows what to do with ingredients. A front of house team that understands hospitality. Probably the best pasta we’ve eaten in the uk. Delicious! Great food and great staff! I can’t wait to come back! Five star food absolutely delicious! Service was excellent very reasonably priced also will definitely be back! Fabulous food, relaxed vibe and a really friendly waiter. Perfect pre theatre dining. This is a perfect place for us to eat - small and personal with a great atmosphere, excellent quality and charming staff. We will be back! Super food in non fussy setting. Perfect. Amazing food as always. Excellent wines, great staff. Friendly knowledgable service, fabulous food and very reasonably priced. Amazing. Thanks so much for a fab evening. It was my boyfriends birthday and we both got a free Limoncello! Absolutely amazing food, delicious wine, really friendly service. Definitely worth a visit if you're in Bristol city centre. Encouraged to make a first visit after reading an excellent review by William Sitwell in the Telegraph - and what a find ! Beautiful food carefully constructed accompanied by some interesting wine, with a "try before you buy" policy. All in all fine dining in a hipster environment. Magic. Sensational food and amazing atmosphere at this delightful restaurant. The staff made us so welcome. There were 9 in our group ranging from 9 to 64 in age and we all thought it was the best food we had eaten. What a find! Thank you! Very good service, food and drink. Food maybe a little bit expensive for pasta although was very good, hence the 4 star value for money. Excellent food but very small portions, specially for 15£ dishes. The food was absolutely divine and the service was top notch! Can't wait to come back! Couldn’t choose between the three starters or three mains all the food so ended up ordering everything to share between two of us. Left very full and very very satisfied.